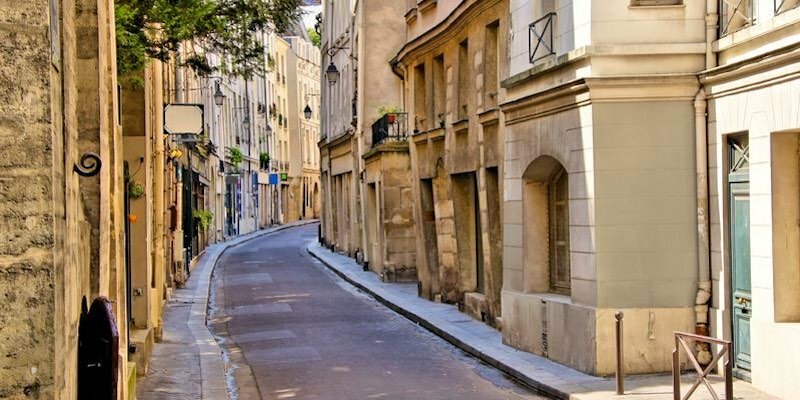 The Latin Quarter's narrow, winding, cobblestone streets remind us of what the medieval city of Paris looked like, when the original scholars of the Sorbonne university roamed the streets speaking Latin. 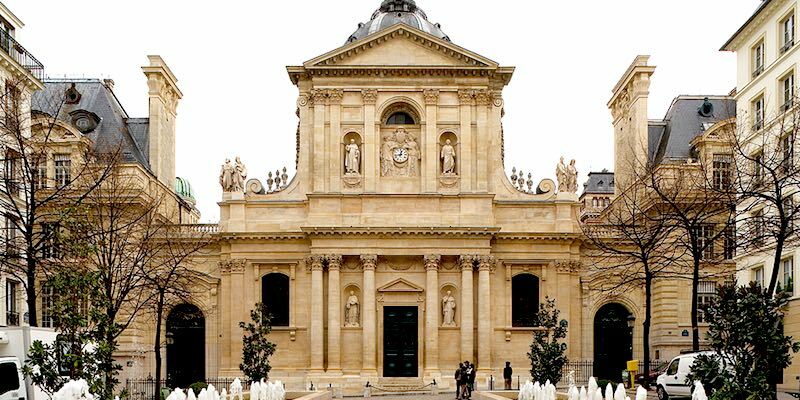 In fact, being the home of the Sorbonne, the district (the 5th Paris Arrondissement) is named after the original scholars of the university who spoke that ancient Roman tongue. Unlike many other Paris arrondissements, the Latin Quarter was largely spared the sweeping renovations of Baron Haussmann, and so today retains much of its ancient feel. From the tumble of food stalls on Rue Mouffetard to the stately Jardin des Plantes, the mighty Pantheon, and the historic Cluny Museum, there's a lot to see and do in this student quartier. This magnificent Paris landmark is a monument and mausoleum to France's greatest men (and two women). Originally built as a church in 1758, it was converted to a shrine to the "heros of France" during the French Revolution. For students of architecture, the Pantheon's exterior was modeled after the Pantheon in Rome. It's worth a detour to explore inside; it's where Foucault first demonstrated his famous pendulum. Victor Hugo and Marie Curie are interred here. Also buried (or otherwise honored) at the Pantheon are Pierre Curie, Louis Braille, Alexandre Dumas, Voltaire (AKA Francois-Marie Arouet), chemist Marcellin Berthelot and his wife Sophie (the first woman buried here), Emile Zola, and resistance fighter Jean Moulin. 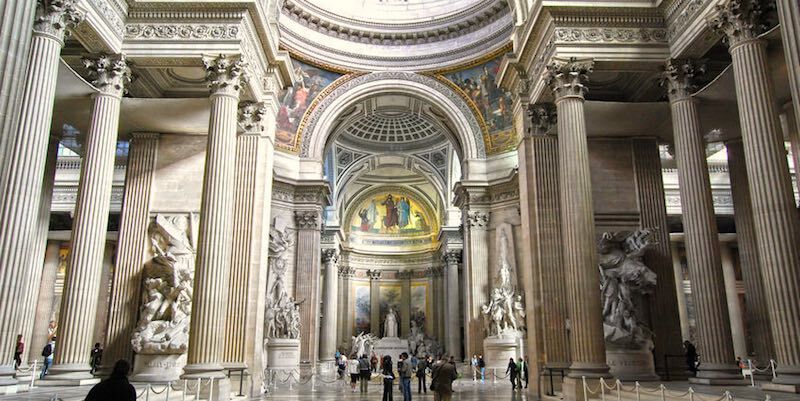 The Pantheon is perfectly positioned on Montagne Sainte-Genevieve which overlooks Paris and is an ideal starting point for a walk into either the Latin Quarter or towards Jardin du Luxembourg in the 6th towards Saint-Germain. Paris is filled with many hidden treasures and the Museum of the Middle Ages is certainly one of them. Away from the tourist bustle, this small gem of a museum is dedicated to the Middle Ages (not yours, but that epoch in history). 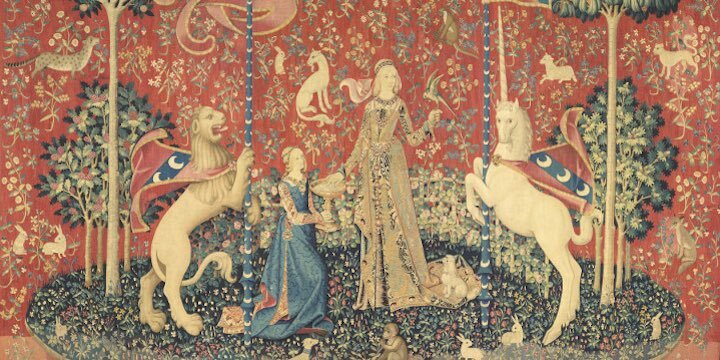 One of the many highlights is the tapestry collection, including the uber-famous La Dame a la Licorne (The Lady and the Unicorn). The six tapestries were woven in Flanders from wool and silk using designs from Parisian life during the 1500s. Other must-sees are the Roman-Gallo baths from the 3rd century, the Gothic ivories, sculptures, artwork and stained glass windows. Often referred to as the "Cluny", its name comes from the original building which was the Cluny monastery. After you've exhausted yourself admiring the tapestries, slip outside and sit quietly in the peaceful garden. During the 17th century, the Jardin des Plantes (botanical garden) was used to grow medicinal herbs for royalty. 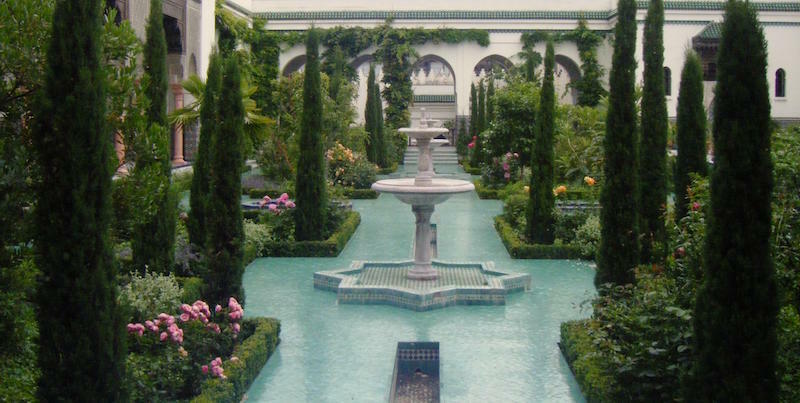 It was originally called the Jardin du Roi (The King's Garden). Today, we consider it a Paris hidden gem with lush gardens, pathways, benches, the zoo, and a collection of museums all at one address. The gardens boast 4,500 different plants in its alpine garden, rose garden, and Art Deco winter garden. There are also three large greenhouses; one built in the 1800s is a marvellous tribute to the period glass and metal architecture. It's free to enter the gardens but there is a fee for the zoo and Natural History museum. We think it's the perfect place to take your children. You can easily spend the day here, dividing your time between all of the museums, gardens, zoo, and open areas. The French Revolution is responsible for many things; this wonderfully old-fashioned zoo, the second oldest in the world, is one of the more unusual things. Many French royals kept exotic animals on their estates and after they lost their heads (the royals, not the animals), the menageries needed a home. One of those estates was Versailles, and in 1793 animals from the royal menagerie were transferred here and the zoo was begun. 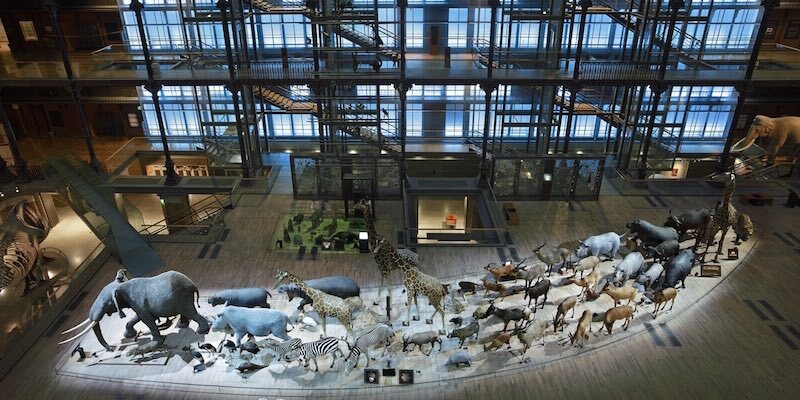 What makes this zoo such a Paris treat is that some of the original green glass exhibit cases from the 1800s are still in use; places where the snakes, tortoises and other reptiles make their homes. 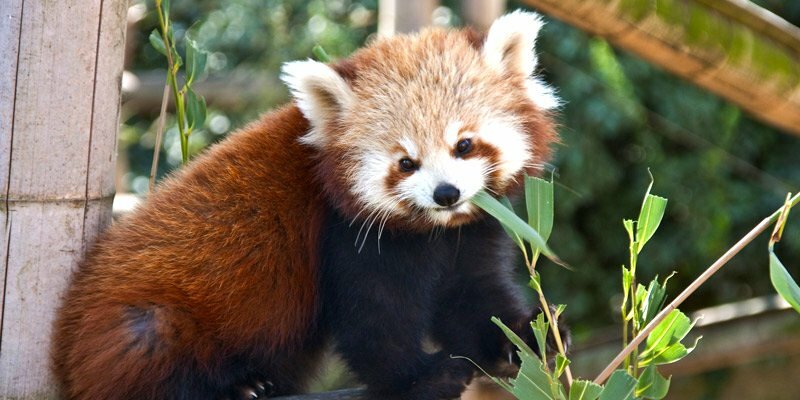 Also of note are the adorable red pandas found in an outdoor habitat. It's called the Natural History Museum, but it is in fact a handful of many museums under one roof in the Jardin des Plantes — the Gallery of Mineralogy (Galerie de Mineralogie et de Geologie), the Gallery of Paleontology (birds, dinosaurs, prehistoric animals), and the Grande Gallery of Evolution. This collection of museums is the place to take children to see all things animals. Plan to spend at least three hours here, with a special stop at the Galeries des Enfants, an interactive science museum with children in mind. This fascinating free museum is actually in the same building where Madame Curie worked and made her remarkable discoveries about radioactivity. 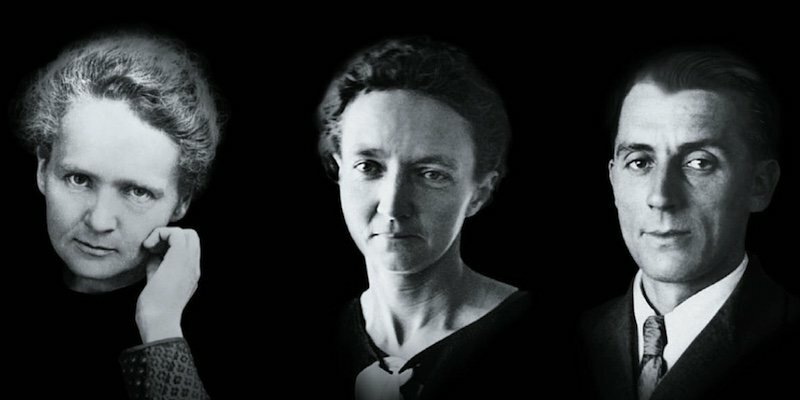 In case you've forgotten your French scientific history, Marie Curie was the first woman to win a Nobel Prize, the first woman to become a professor at the Sorbonne, and one of only two women to be entombed in the Pantheon (see point #1 above). Unfortunately she died too young (at age 66) due to exposure to radiation during her experiments. Be not inhospitable to strangers, lest they be angels in disguise." A Paris institution, this independently-owned English bookstore was opened in 1919 by American Sylvia Whitman. She ran it as a casual book store and boarding house for up-and-coming writers. Ernest Hemingway wrote about it his memoir, A Moveable Feast. World War II interrupted and the bookstore closed. Then, in 1951, another young American, George Whitman, re-opened the store and infused new energy with a new location in the Latin Quarter. Now his daughter Sylvia Beach Whitman (named after the original founder) is in charge. She runs it much like it was before — as a bohemian hangout for writers and book lovers. Plan to spend time browsing the jumbled book shelves or drop by next door to the cafe that Sylvia now also runs. The Boss and I were in Paris today, and while I didn't actually see him I saw something even rarer — an anglophone who had never heard of Bruce Springsteen. Strolling along the Seine, I stopped in at Shakespeare & Company for a copy of the latest Henning Mankell. I'm paying for my book when Sylvia Beach Whitman walks in. The sales clerk says to her, "Guess what? Bruce Springsteen was just here in the store." Sylvia replies (and I'm not making this up), "Who?" "You don't know who Bruce Springsteen is," says the clerk. Not so much a question as an accusation. "You're kidding." The clerk looks over at me, clearly astonished. "He's the future of rock and roll," I pipe in, about forty years too late. "Oh, I don't keep up on musical things," says Sylvia. The clerk and I look at each other, sadly shaking our heads. I pay for my book and go out to look at the Seine and the bateux mouches cruising back and forth, back and forth. 8. Beaucoup des Eglises ! 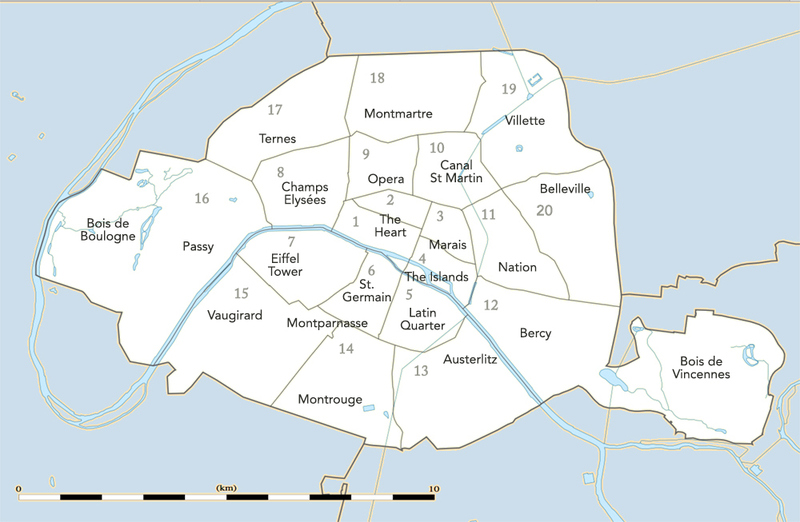 Four historic churches dominate the skyline of the Latin Quarter — Saint-Severin, Saint-Etienne-du-Mont, Saint-Julien-le-Pauvre, and Saint-Médard. Close to the Pantheon is Saint-Etienne-du-Mont, the church that holds the shrine to the patron saint of Paris, St Genevieve. Like many historical structures in the city, Saint Etienne has had many incarnations since it was built in the 6th century. For film lovers, you'll recognize the exterior staircase from Woody Allen's Midnight in Paris. 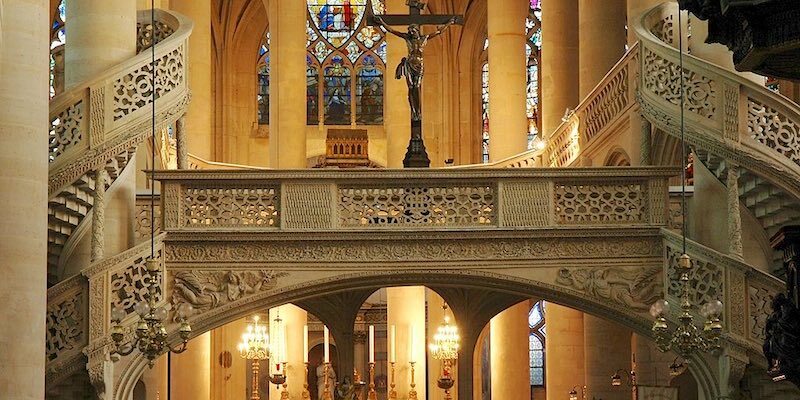 It's also where you'll find the last jube in Paris — sort of a bridged gallery that separates the nave of the church from the choir — and this one is a sculpted marvel, as pictured above. Originally built in the seventh century, Eglise Saint-Medard was destroyed by the Vikings 200 years later. Over the centuries it's had its fair share of renovation; the last major work was done in the 1700s. Saint-Medard is a charming and delightful place to end your tour of Rue Mouffetard (see point #9). Inside this Paris hidden gem are art treasures; you can see paintings by Philippe de Champaigne (1602 – 1674), Jean-Antoine Watteau (1684 – 1721), a Gobelins tapestry, and stained glass from the sixteenth century. Although it wasn't completed until the 13th century, the construction of Eglise Saint-Julien-le-Pauvre started the same time as Notre Dame cathedral in 1165. Just steps away from the Musée National du Moyen Age, it's been a Greek Catholic parish since 1899. Eglise St Severin features gargoyles, flying buttresses and the oldest bells in Paris, cast in 1412. It is, in fact, the oldest church on the Left Bank, begun during the first half of the fifth century. 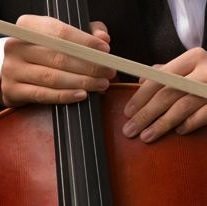 Today there are occasional classical music concerts performed here. Julia Child's favorite outdoor food market is still as bustling as it was in the 1950s, and for hundreds of years before that. 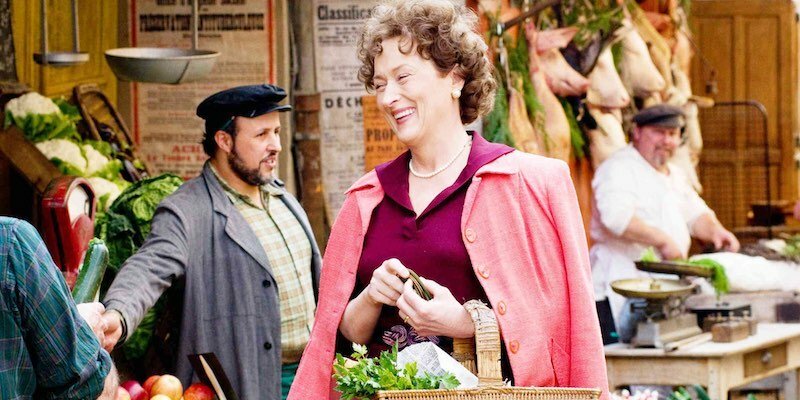 (You can see Meryl Streep shopping here in Julie and Julia.) If you want to see the freshest and most bountiful displays, arrive in the morning. The vendors generally set up by 9 AM, close for lunch and reopen at about 2 PM. The Sunday market is a vibrant affair but be warned, it closes for Sunday lunch and doesn't reopen until Tuesday. If you want to have an impromptu picnic with your loaded shopping bag of cheeses, baguette, ripe tomatoes, and cured meats, lay your blanket down under the shade in Square Saint Medard. Start your journey on the north end of Rue Mouffetard near the Pantheon and walk south with as Eglise Saint-Médard as your final destination. It's the largest Islamic place of worship in Paris. Founded in 1926, it was a tribute to the Muslim soldiers from French colonies who died in battle during World War I. During World II the mosque was a secret refuge for Algerian and European Jews. Many left with Muslim birth certificates to guarantee them safe passage out of Nazi-occupied France. The Mosque also welcomes guests to enjoy the architecture, the peaceful gardens, the hammam spa, and the popular tearoom and restaurant. This is Big Paris and the only evidence of Baron Hausmann's wide boulevards in the Latin Quarter. 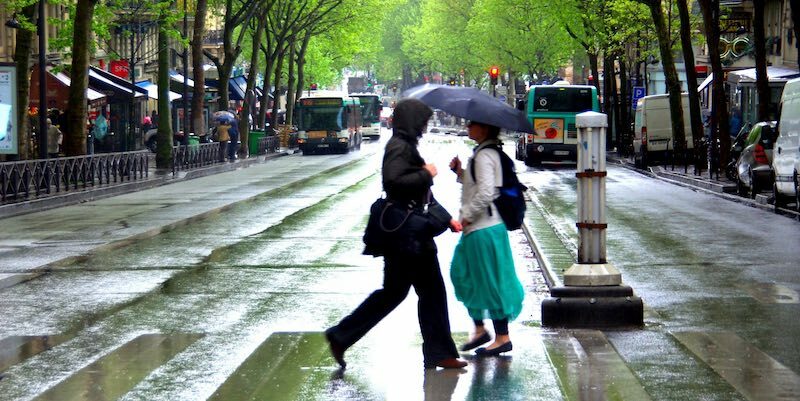 In fact, there are only two major streets on the Left Bank — one is Boulevard Saint Michel (5th Arrondissement), the other is Boulevard Saint-Germain (6th Arrondissement). Start at Pont Saint Michel and the place which bears the same name and continue south past the Sorbonne, the Jardin du Luxembourg, and end at Place Camille Jullian. The tree-lined boulevard is a boundary between the two arrondissements — the odd numbered buildings belong to the 5th and the even numbers to the 6th. Today, it's where you'll find many shops, cinemas, and cafes. 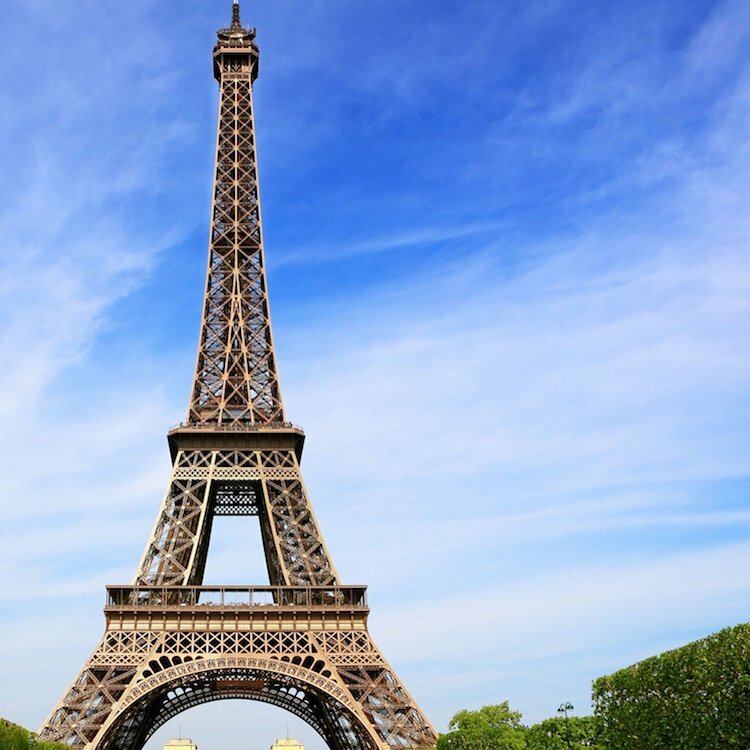 Veer off the major boulevard to the east and you'll be back in Little Paris, with the winding, small streets we associate with the Latin Quarter. We like the idea of spending a few hours to get a real feeling for this historic quartier. This small-group tour kicks off at Notre Dame Cathedral, just across the river from the Latin Quarter. 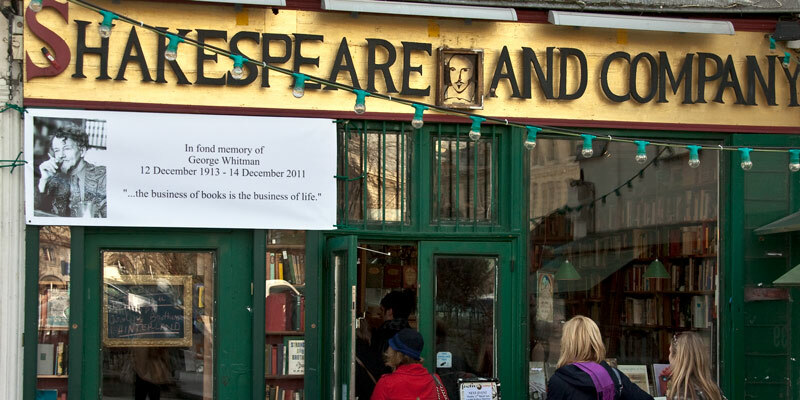 (And from Shakespeare & Company.) Then walk with your guide into the neighborhood that attracted not only monks and scholars, but the likes of Fitzgerald and Hemingway. You'll see the bookstore, the Pantheon, the Sorbonne, Jardin du Luxembourg, and the best of the district. We like this option even better, where your private guide can give you and your party individual attention. Available most days in the morning or in the afternoon. Line 10 is an important Metro line that connects the Latin Quarter to the rest of Paris. It runs from the far west in Boulogne-Pont de Saint Cloud, through the center of Paris and continues to its furthest eastern destination of Gare d'Austerlitz. 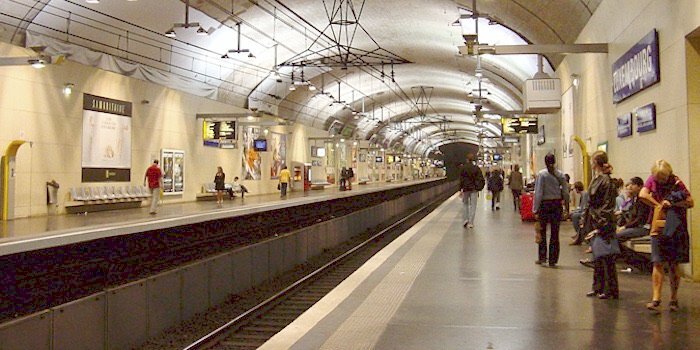 It stops in the Latin Quarter at Cluny-La Sorbonne, which connects to St-Michel-Notre Dame RER lines B and C, Maubert-Mutualite, Cardinal Lemoine and Jussieu stations. The longest Metro line in Paris, Line 7, crosses the city north to south in a curved path from Mairie d'Ivry in the north to Villejuif-Louis Aragon in the south. It stops in the Latin Quarter at Place Monge, Jussieu and Censier/Daubenton stations. From Sinbad to Marco Polo, the Institute of the Arab World explores the contributions of the Middle East across history. The building itself is worth a visit. 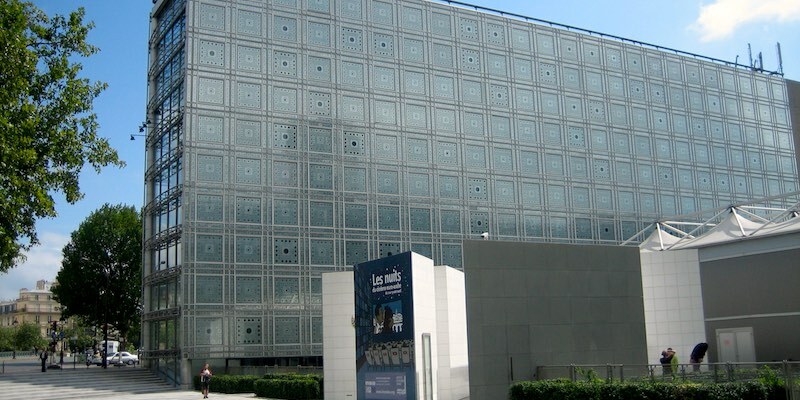 The contemporary structure, designed by Jean Nouvel and completed in 1987, features an exterior wall of photosensitive apertures, which open or close depending on the light level, paying homage to the traditional Moorish screen. It's a bit of a gimmick, but an interesting experiment nonetheless. There are temporary exhibitions, as well as permanent collections, a library that features a spiral tower of 100,000 books, and a peaceful interior courtyard. 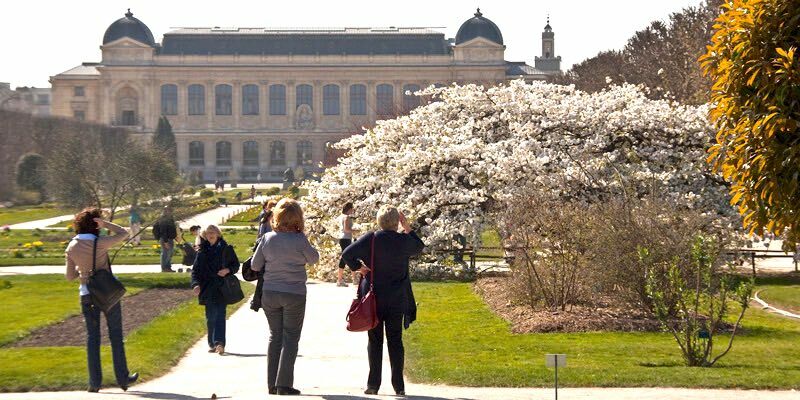 It's the oldest university in France and one of the most famous place of higher learning in the world. Founded in 1257, you might not know that the Collège de Sorbonne is actually a collection of thirteen separate universities. Three of them have Sorbonne in their names — Panthéon-Sorbonne, Sorbonne Nouvelle, et Paris-Sorbonne. As for us mere mortals, and not students or intellectuals, we can admire the Beaux Art buildings along the Boulevard Saint-Michel. If you want to get a closer peek inside, we recommend you try to book one of the Latin Quarter walking tours that gets you inside. It's one of the leading fromageries of Paris, and with well over 200 cheese shops int he city to choose from, that's high praise. 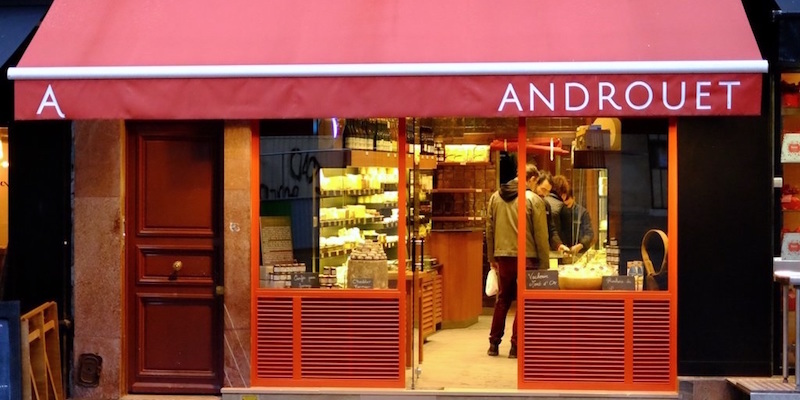 There are several Androuet locations in Paris — in the 7th, 14th, 15th and 16th — but the one on Rue Mouffetard holds a special place in our hearts. Come to sample and to buy some of the hundreds of cheeses on offer, then step back to admire the beautifully painted exterior of the building. This place is the stuff of culinary legend. La Tour d'Argent is one of the most famous restaurants in Paris and it has a long history — there has been a restaurant at this location since 1780. The "silver tower" of the restaurant's name was built on the spot in 1582. The Terrail family have owned it since 1912 and they held three Michelin stars for an amazing 63 continuous years — from 1933 to 1996. The wine cellar holds an impressive 4,500 bottles. La Tour d'Argent is famous for its duck, first roasted, then pressed in an authentic steel duck press. The juices are then used to make a memorable sauce. Each duck is numbered (the millionth duck was ordered in 2003) and are sourced from Maison Burgaud in Challans in southwest France. Franklin D. Roosevelt dined on duck #203,728. 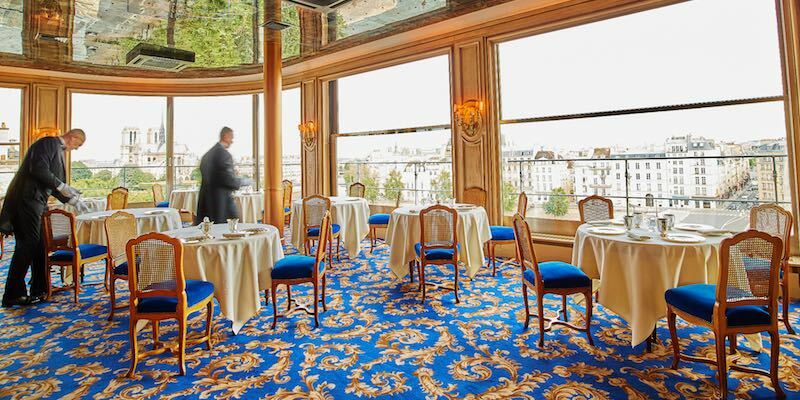 Come for the duck and be dazzled by views of Notre Dame Cathedral and the Seine River. By the way, when the flag is flying over La Tour d'Argent it means that a member of the Terrail family is present on site. Every day except Monday and half-day Sunday. The Latin Quarter is not only a wonderful place to stroll, to sit in sidewalk cafes, and to visit food markets. It turns out it's also a wonderful place to reside while you're in Paris. The district is so… cosy, and oh-so Parisian. 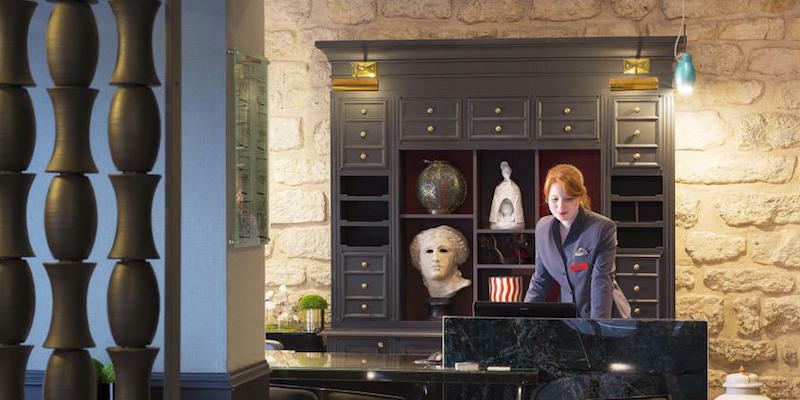 Even better, we've found the six best hotels in the quartier — hotels that not only meet our criteria, but that travelers have loved a lot. In fact, all of these hotels have been awarded our highest ratings — from "Highly Rated" right up to our supreme accolade of "Superb-Plus". Be sure to check our reviews. The Latin Quarter is the the oldest district built by the Romans; it was then a village called Lutetia. The Arene de Lutece, the ancient stadium, was built by the Romans to accommodate 17,000 spectators. Today, children like to play soccer here. Victor Hugo fought hard to keep it protected from Haussmann. One for Hugo — zip to Haussmann. Another hotel we like an awful lot, Hotel Monge (rated "Superb-Plus"), abuts the ancient Roman stadium. The Latin Quarter is famous for bars and cabarets and is home to Paradis Latin, one of the oldest cabarets in Paris, designed by Gustave Eiffel himself. Next to the Pantheon is the Sainte Genevieve Library, the first independent public library. Unfortunately, Rue de la Huchette in the Latin Quarter is filled with tacky souvenir shops and the worst of international junky foods. Just keep on walking! One of the narrowest streets in Paris is a passage called Rue du Chat qui Peche (the street of the fishing cat) with a width of 5'10" or 1.8 meters. It's found just off 14 Rue de la Huchette. Le Jardin d l'Ecole Normal Superieure is a very pleasant little garden with a small pond four at 45 Rue d'Ulm. It's open to the public during school hours. Salvador Dali's sundial. On the side of an otherwise unassuming building at 27 Rue Saint-Jacques (a little ways behind Shakespeare & Co) is an astonishing sundial created by Dali in 1968. It depicts the head of a woman in the shape of the scallop shell.